A Second Coming For JJIII? John Jackson III has settled into a fairly static routine during one-on-one period as spring practice winds down. Jackson lines up against walk-on defensive backs. Jackson, with rare exception, outplays those walk-ons. Then Jackson continues to line up against said walk-ons. Rinse and repeat. Wide receiver John Jackson was a forrmer greyshirt prospect. This is pretty excusable in the immediate term because, barring a dramatic spate of injuries, Jackson isn’t seeing the field this year. 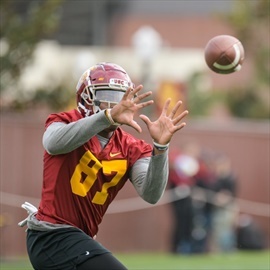 There’s just too much talent ahead of him with the likes of Michael Pittman, Tyler Vaughns, Amon-Ra St. Brown and Devon Williams already on the roster plus Kyle Ford, Drake London and Munir McClain coming aboard this fall. But Jackson is clearly talented, a former four-star recruit who matriculated from a local powerhouse in Gardena Serra and who claimed most of the PAC-12 on his offer sheet, not to mention a few big national offers like Wisconsin. Moreover, USC saw enough in him to extend a rare greyshirt offer in 2018 despite a loaded 2019 in-state receiver class coming down the pike. 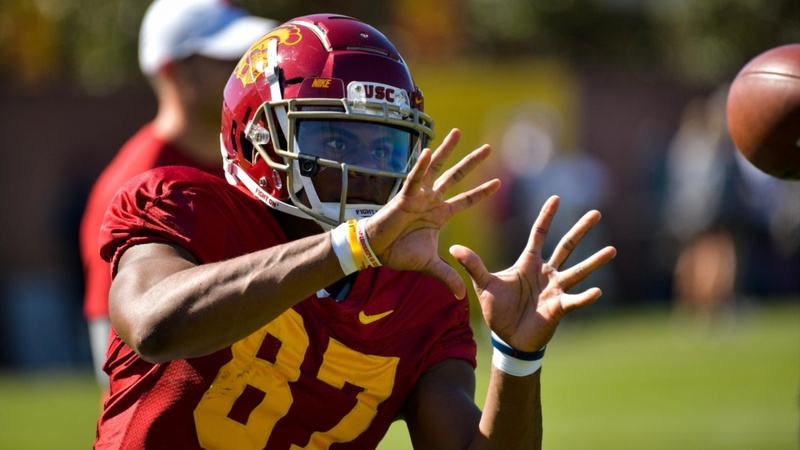 So now is the time to get him some real run against the few scholarship DBs the Trojans have, if only so the coaching staff can begin get a handle on what he does well, what he doesn’t and how to turn the latter into the former. Spring is supposed to be a low-risk incubator for players like Jackson to display what they can do - the polar opposite of fall, when the coaching staff is in a race against time to iron out everything before the season gets underway. To that end, now’s the time to give Jackson some run to show what he’s capable of.